The “Polygone” CNRS campus in Grenoble and the Karlsruhe Institute of Technology (KIT) are presently consolidating several collaborations around the topic of superconductivity. 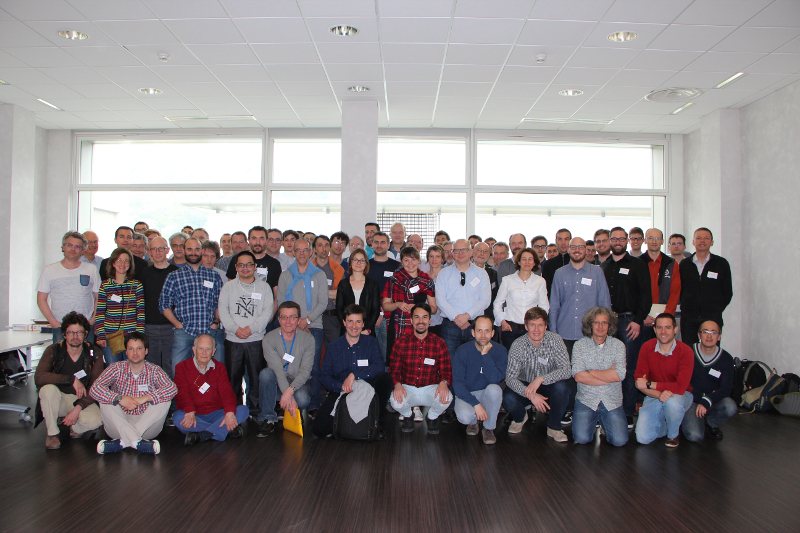 A first official meeting was held in Grenoble on April 3rd-4th with 25 participants from KIT and 50 participants from the local laboratories. This workshop, supported by the LANEF and Nanoscience Foundation of Grenoble, proposed a tour of several experimental platforms, a morning of plenary scientific presentations and various prospective discussions. Besides planning common scientific goals that are shared by the French and German partners, the desire of enhancing in the future the joint training of students at Master and PhD was raised. A second GREKIT workshop will be organized in October 2017 in Karlsruhe (thanks to a support from the French Ambassy in Berlin).